Welcome to the Spring Valley Homes, Incorporated Web site! We specialize in providing "Energy Efficient Comfort" to all of our homebuyers. To provide energy efficient new home construction of a functional design, for maximum comfort, without compromise of home's integrity, style, or value. 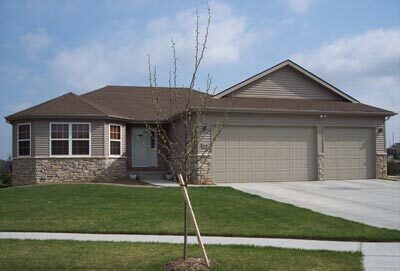 Spring Valley Homes, Inc. was established in Lincoln, NE by three men with a goal to make energy efficiency affordable for all new home buyers. Ted Baugher, Dave Cook, and Brian Herbel have joined with local utility companies and dedicated sub-contractors to realize this goal. Ted Baugher, President, brings over 50 years of building experience. "We are striving to build a home that not only meets the current needs of the homebuyer, but one that also anticipates the changing environment of the 21st Century," says Ted. It has been a year since we have moved into our new home. We wanted to let you know how happy we are with the home you built for us. As you know, this is our second purchase from Spring Valley and the quality is great. A year later, the only thing we have had to do is get the garage doors aligned. The same goes for my daughter and the home you built for her. They are very happy and talk very highly of you and Spring Valley Homes. As you recall, we were against building a new home due to time and patience it takes to do so. You made the process painless and we had a lot of fun with you and your contractors. The people you use for contractors were great. Not one problem with anyone. Everyone cooperated in a professional manner. You went beyond what any builder would do for their customers. As far as efficiency, your home has proven savings with our utility bill. We keep our house on 70 degrees in the summer and not once were we alarmed by our LES bill. What you advertise about the home you build is a truthful statement and the good workmanship is definitely there. In the process of building you made us feel comfortable with the process. Many decisions made were a verbal agreement and never once did we feel uneasy on an old fashioned handshake. Our recommendations come highly. We not only have a good builder, we feel we have found a new friend. Again, we don’t know how to thank you enough. Thanks, love our home, so beautiful, wonderful to work with you! Thank you for your willingness to help us make our house a home. We are very happy with how everything has turned out, especially the kitchen and master bath.